Promotes the production of neurotransmitters to support mood and brain function. 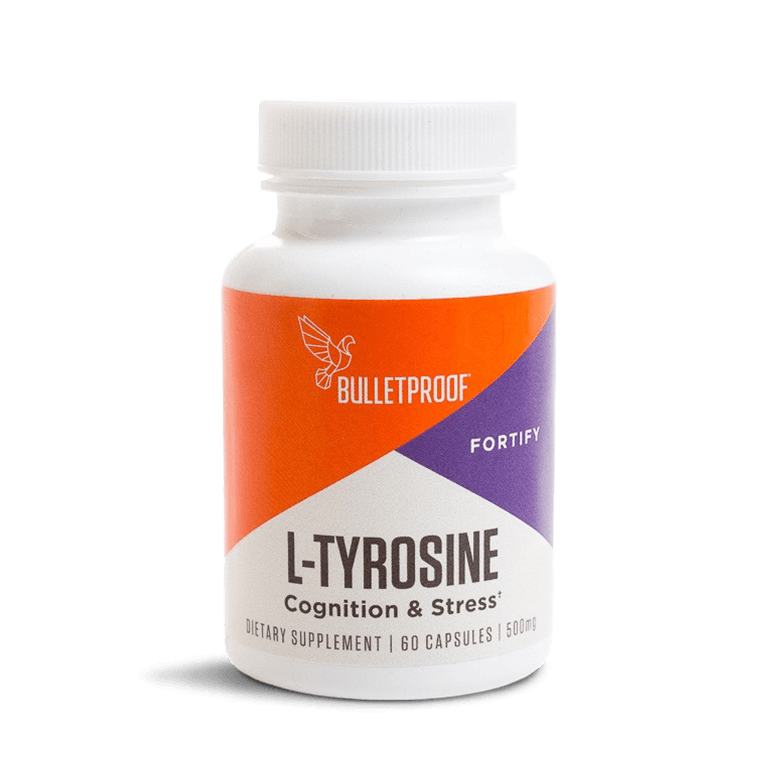 Bulletproof™ L-Tyrosine is designed to support your mood and help you deal better with stress. It contains an amino acid that quickly crosses the blood-brain barrier to help with the production of the neurotransmitters dopamine, epinephrine, and norepinephrine. Dopamine is well known for its ability to make us feel happy, while epinephrine and norepinephrine play important roles in helping your body deal with physical and mental stress. Take one capsule 1-4 times daily to support healthy stress response, mood, and cognitive performance. Ingredients: L-Tyrosine. Other Ingredients: Gelatin capsule, ascorbyl palmitate, organic brown rice flour, organic rice concentrate, silicon dioxide.